The award aims to highlight the work of authors and personalities, who although having produced valuable literary works, or having fostered social and cultural innovation in the field of migrations and human rights, are little known to the general public, because of geographical constraints or because of their personal choice to stay out of the limelight. 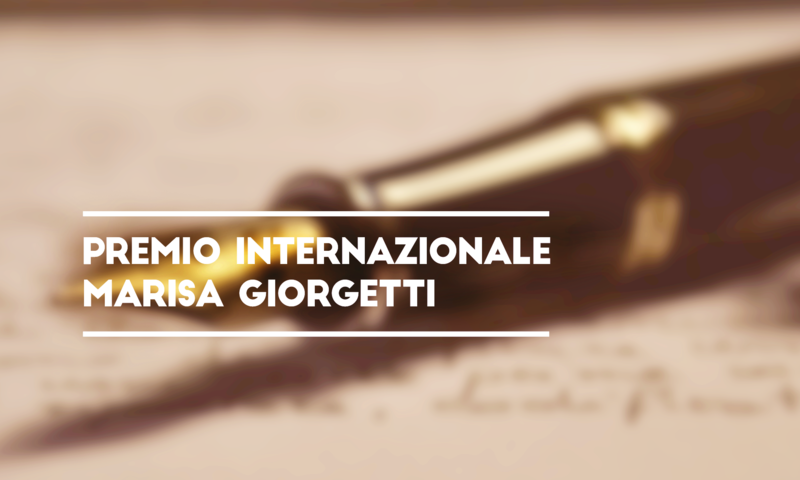 The Prize is dedicated to Marisa Giorgetti (1929-2011) who, shying away from any kind of public attention, has inspired ideas and innovative projects in the field of the safeguard of human rights and immigration reception. 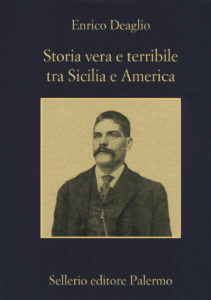 The jury of the Literary Section has assigned the 2017 award to ENRICO DEAGLIO, for the book “Storia vera e terribile tra Sicilia e America”, published by Sellerio in 2015. Enrico is a journalist and writer. He has hosted important television programmes and written various investigative reports and works of political and social research. In his book, Enrico Deaglio retraces the outlines of an event that is virtually unknown in Italy: the merciless and unwarranted public lynching of five young men, who had emigrated to the United States from their native Sicily. The context of the story is the “great emigration” towards the Americas of the late eighteenth and early twentieth century. In his reconstruction, the author moves in a broad and articulated social and cultural scenario, describing the conditions of black workers that had just been freed from slavery and that of the poor migrants from southern Italy: an invitation to reflect on the similar social dynamics that are unfolding in our present days. 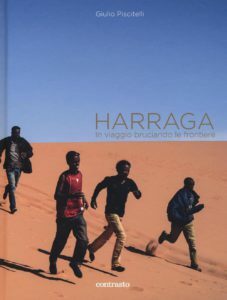 The jury of the Literary Section has awarded the Special Mention to GIULIO PISCITELLI, for his book “Harraga”, published by Contrasto in 2017. Giulio Piscitelli is an Italian photographer who has been collaborating for years with Agenzia Contrasto, and whose photos have been published on Italian and international magazines and newspapers. “Harraga”, a term used both in the Moroccan and Algerian dialects, defines the migrant who travels without documents, metaphorically “burning the borders”. Piscitelli has followed the routes of those who try to enter Europe: he has done so in the Eastern and western Mediterranean, embarking on a boat in Tunisia to reach the coasts of Italy, documenting the situation unfolding in the Spanish enclave of Melilla, the journey towards Lampedusa, the migrants that from the Horn of Africa cross the desert. the Syrians, Iraqis, Afghans that reach the shores of the Greek Island in the hope of finally getting Europe. 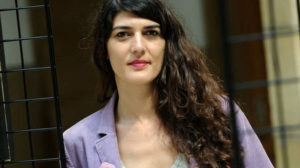 The Human Rights Section has assigned the 2017 award to CAGLA AYKAC, as a member of the network of the “Academics for Peace” in Turkey. In January 2016, 1128 academics signed a petition titled We will not be a party to this crime ! that stood against the military operations in the Kurdish regions of Turkey and demanded a return to the peace negotiations. All academics who signed the petition have been subject to physical threats, and most went through administrative measures in their universities. Around 600 were dismissed from their positions, 4 spent a month in prison, many lost their passports, and all are subject to defamation through state propaganda. See also the blog of the Academics for Peace. In the week this award was given, 36 academics were put on trial, along with 70 journalists, prominent lawyers and political representatives. Zehra Dogan, artist and journalist currently in prison testifies of the reality of this war. Click here to read the jury’s motivations. The jury of the Human Rights Section has assigned the Special Mention to the CENTRO BAOBAB in Rome. It was born in 2004 in the heart of an abandoned glassware factory, located in Via Cupa 5, between Piazzale del Verano and the Tiburtina Station. In recent years the center has hosted cultural activities and as a centre for first reception. 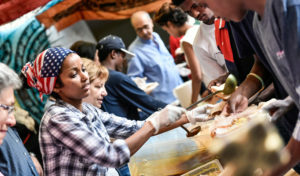 Since June 12th 2015 this building has become a hub for self-organized action, carried on by free citizens, who are allocating their time to accomodate migrants and refugees that are passing through Rome, often compensating serious shortcomings of the institutions. A movement formed by citizens, workers, unemployed persons, doctors, artists and people belonging to every social class and of several generations, who have been fostering the human rights of migrants and their freedom to move. The prize consists in a work of art donated by conteporary artists, selected by Juliet Art Magazine. For the 2017 award, the artist is Nata. The Marisa Giorgetti international prize intends to give visibility and value to the works and actions of many people in Italy, the EU or other areas of the world, which have remained little known, or even unknown, for reasons of privacy or due to geographical, political or social limitations but who have nevertheless produced works of literary distinction (in various forms, from novels to short stories and reportage) in the specific fields of migration and culture of dialogue, or who have worked in social and cultural sectors promoting fundamental human rights, especially the profound changes in society determined by destination society rather than origin society. The award is divided into two different sections but strictly connected. An annual award given to an author or several authors for writing a novel, short story, poetry, reportage, investigation or other form of literature published in Italy that has, with literary distinction and depth, addressed issues related to migration and coexistence / meeting between languages, cultures and traditions, that has fostered a culture of dialogue and acceptance of diversity. Annual award given to a single person or a group of people, that is to say to an association or to an entity that has distinguished itself in the implementation of initiatives or programs, on the social, cultural or political level and have worked for the defense of fundamental human rights of individuals, groups and communities, with particular attention to the rights of the most vulnerable people and victims of violence, forced migration, persecution and serious exploitation, that have helped to consolidate the peace process and coexistence, that is to change cultural attitudes or discriminatory public policies and violations of human dignity. Isabelle Sanchez, psychologist, coordinator I.C.S. The choice of Trieste and the Carso as the seat of the Marisa Giorgetti international prize, as well as being linked to the fact that it was the area in which Marisa Giorgetti lived and conducted her activities , to whose memory is dedicated the prize, is also motivated by the symbolic value that the territory of Trieste represents on European and international level an area of ​​multicultural, multilingual and multi-hinge between eastern and western, and as a city on the Mediterranean Sea. In order to achieve its aims, the prize does not operate as “competition” but as the identification of the persons to whom the Award is appointed by qualified members of the two juries on the basis of which each juror has matured in his daily life and work.